Does dad have thousands of old photos that he keeps in boxes or drawers? And has he been talking about wanting to get them all organized? Here’s an idea. 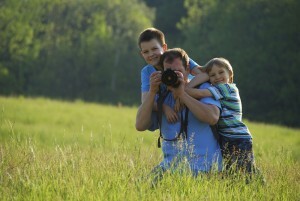 For Father’s Day, you can get dad a prepaid scanning box from ScanMyPhotos.com. The box is $145 and can hold up to 1,800 standard-sized photos. The price includes the cost of scanning and three-way shipping. When dad is done filling up the box, he just needs to ship it out and within five to 10 days, he’ll get a DVD with all his photos. If he’s just getting started on Instagram, this is the easiest way for him to post stuff for #TBT (Throwback Thursday). For a small fee, dad can have his photos saved on a flash drive. ScanMyPhotos.com can also digitize 35mm slides, film negatives, and VHS tapes. Even though it’s been six months since the holiday season, we’re once again in the middle of another big gift-giving month. June brings with it many happy occasions to celebrate with a gift—whether it’s for Father’s Day, showers, weddings or graduations. Last week, we shared some great gift ideas to give any photography-loving dad in your life, but this week is all about the graduates! 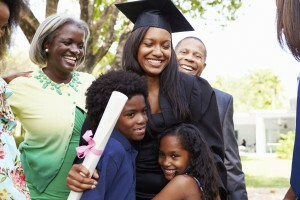 Here are some of our favorite graduation photo gift ideas to help the special graduate in your life treasure all their happy memories. Hello, photo enthusiasts – To consolidate the most recent website postings, reviews and stories about ScanMyPhotos.com, hope you enjoy the below news. Please support those websites and check them out, subscribe to their blogs. I still have an emotional attachment to these captured moments, but not a physical attachment to the paper photos themselves. I planned to digitize them long ago, but never got around to it. I finally decided to do it, using ScanMyPhotos.com – the decision based on a post I did about photo digitization. Excerpt from Jeri Danski, Unclutterer! I have boxes and boxes of family photos (some from the 1920s) I’d like to scan in and put on CDs (is that a good way to save them?) and also put on a website where family members can access them and print out what they’d like to keep. How do I even get started? How do I organize the project? I’m overwhelmed just thinking about it. Many people have happily used scanning services. Erin used ScanMyPhotos, as did a recent commenter, L. Charles. The company takes your prints, negatives and/or slides, does the scanning, and ships you back a DVD with those scans (along with your originals). Save Your Family Photos from Disasters – Digitize Them! Over the past many days, since the San Francisco Google developers conference, ScanMyPhotos.com has been leading the excitement for this new photo-sharing tool to reunite people with decades of nostalgic photos. From the free storage to beyond epic image recognition tools, this is the best new thing to celebrate photography. Here are several of our @ScanMyPhotos.com Tweets on @GooglePhotos to spark additional interest and understand why nearly every tech reporter has joined us in celebrating this significant achievement. Father’s day is coming up in just a few weeks—are you racking your brain trying to figure out what to get dad for the big day? Well, don’t sweat it, you have plenty of time! To help you get some great Father’s Day gift ideas for photography-loving dads, we pulled together some options for you to consider. Is your dad constantly showing you the photos he took with his phone? Has he been bragging about all the cool new filters he’s used to take artistic shots? If so, why not enroll him in some online photography courses? A subscription to Lynda.com will give your dad access to over 525 photography courses.